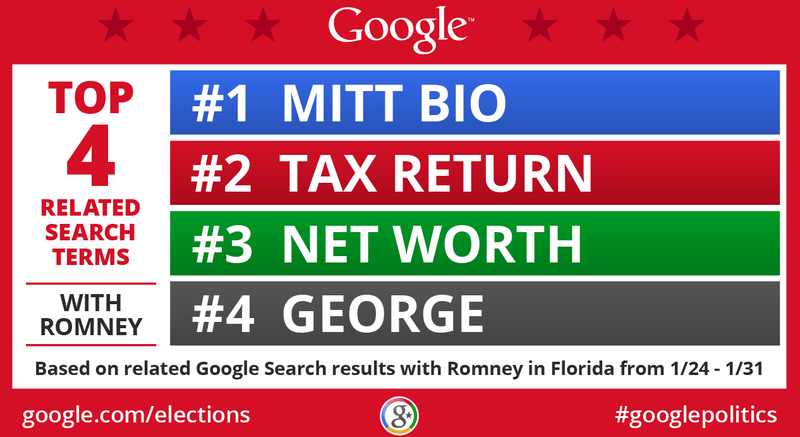 We found that for Mitt Romney, his bio is most searched, followed by issues about his taxes, net worth and his father George. 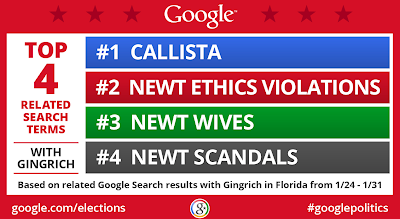 For Newt Gingrich, searches are most commonly for his wife Callista, his ethics violations, wives and scandals generally. According to the New York Times, 92% of the political ads airing in Florida right now are negative. 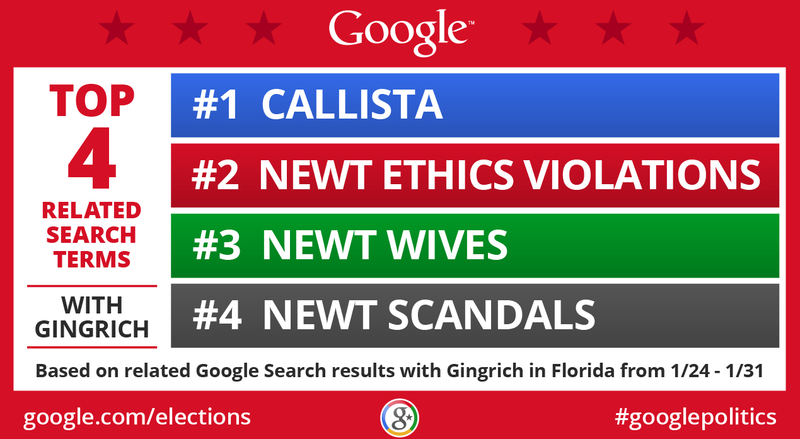 Could these ads be impacting what voters are searching for when they look up Gingrich and Romney? 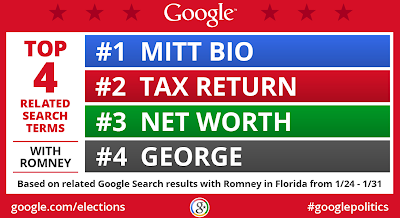 As voters cast their ballots in Florida’s Republican presidential primary today, we wondered: What candidate-related issues are Floridians searching for? We took a look at the two frontrunners in recent polls.